Grant is making his pro debut, and it comes hot on the heels of a dominant run in New York City's amateur circuit. He was the New York Fight Exchange's bantamweight champ, reigning undefeated until he announced that he was graduating to the "big leagues" earlier this year, and much of his success can be attributed to a near-flawless ground game, an unrelenting pace, and an unbending spirit. The dude is an animal. 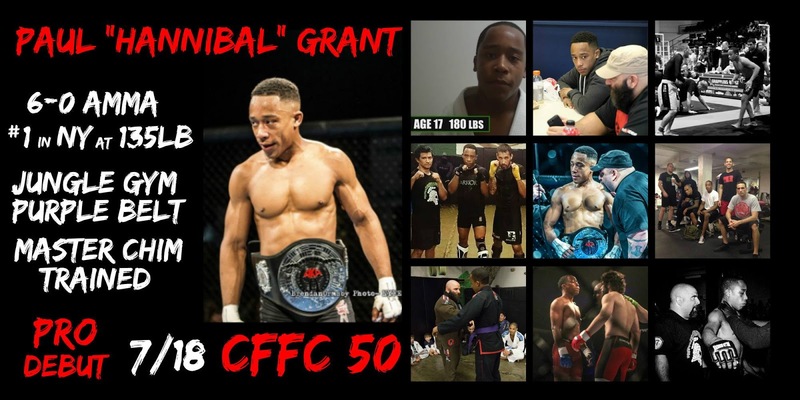 And after the dust settles on CFFC 50, the world will know it.